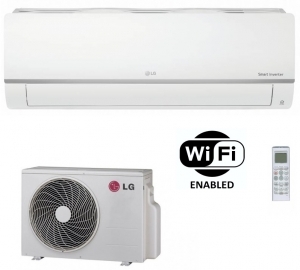 The new range of Standard Plus air conditioners – heat pump offer a number of new features. This model PC09SQ.NSJ is the smallest in the range and is suited for heating and cooling rooms up to 25 sq metres. Amongst the new features is embedded Wi-Fi on the indoor unit. 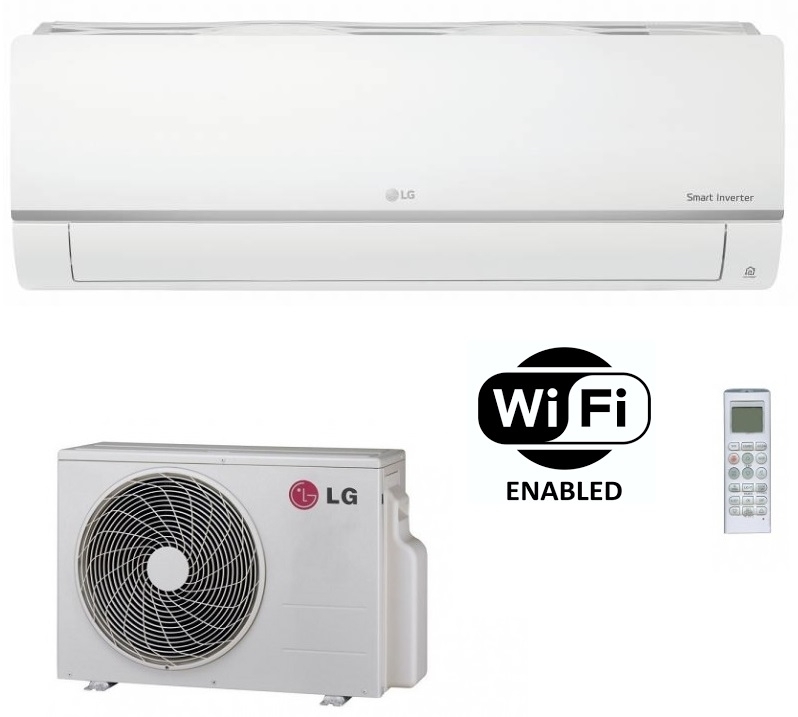 This means as long as the location of the indoor unit is within range of a router the unit can then be controlled via the downloadable LG app via a smartphone or tablet device. These are the new R32 refrigerant models.